A plane crashed into a therapy center for youngsters with autism in Florida, killing pilot and his passenger, according to local media on Wednesday. 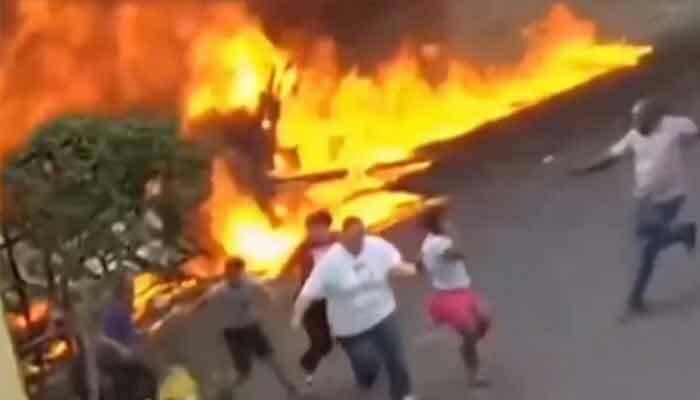 CCTV footage shows teachers and children running for their life as the six-seat Cessna plane catches fire following the crash. The plane skids across the ground towards the building hits it before catching. Eladio Marquez,the pilot, had declared an emergency shortly after take off and informed the traffic control that left engine of the plan has caught fire.